Russia's hybrid military forces attacked Ukrainian army positions in Donbas 47 times in the past 24 hours, with five Ukrainian soldiers reported as wounded in action (WIA), according to the press service of the Anti-Terrorist Operation (ATO) Headquarters. 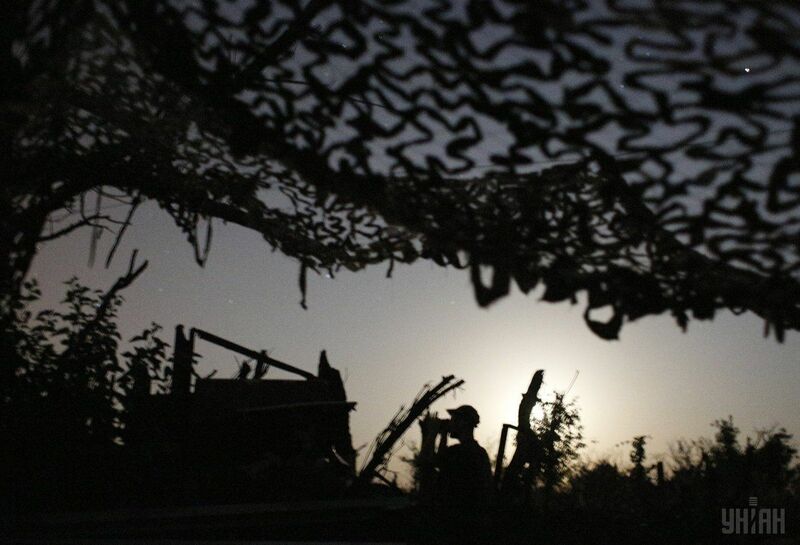 The situation remained most tense in the Donetsk sector in the evening and night hours. "In fact, from 17:00 until midnight, the illegal armed groups did not stop firing on our fortified positions in the Avdiyivka industrial zone, using grenade launchers and heavy machine guns. At about 18:00 Kyiv time, the enemy started firing mortars of various calibers and launched 16 shells from a 122mm Grad-P portable rocket launcher. In the evening, the militants used mortars twice near the village of Opytne, leaving one of our soldiers wounded. In addition, the occupiers fired 122mm artillery systems on the Ukrainian positions near the villages of Kamianka and Pisky," the report says. In the Mariupol sector, the Ukrainian fortified positions near the towns of Krasnohorivka and Maryinka, and the villages of Vodiane, Pavlopil and Talakivka came under enemy fire from grenade launchers and small arms. In another cynical act, militants once again opened fire from small arms on Maryinka's civilian neighborhood. Read alsoScorched earth tactics: militants set fields on fire along contact lineThe enemy's activity was minimal in the Luhansk sector at the end of the day. However, the invaders used grenade launchers against the Ukrainian positions near the villages of Krymske and Novo-oleksandrivka. "At night, in order to avoid another escalation of the conflict, the ATO command offered the enemy an enhanced ceasefire regime. At first, representatives of illegal armed groups agreed to observe the truce but a few hours on, they violated it, significantly increasing fire activity," the press service said.